If you’ve stood in the grocery aisle and eyeballed the price of sun dried tomatoes lately…perhaps you’ve wondered how hard it is to make your own. 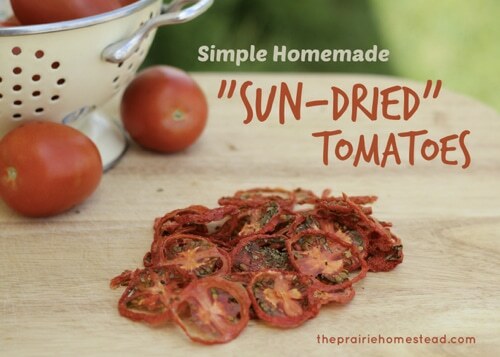 The good news is, you can create delicious, flavorful sun dried tomatoes right in the comfort of your own kitchen. Use them in sandwiches, salads and your favorite pasta dishes to add that unique, tangy flavor.